Research is moving fast on the divisive genetic technology, which could help to eradicate diseases but also risks altering ecosystems in unpredictable ways. Government representatives from nearly 170 countries will this month consider whether to temporarily ban the release of organisms carrying gene drives — a controversial technology that can quickly propagate a chosen gene throughout a population. The technique has the potential to eradicate disease, control pests and alter entire ecosystems, but with unpredictable consequences — leading some groups to call for a global moratorium on its field applications. Chances are slim of a moratorium being approved at the upcoming meeting of the United Nations Convention on Biological Diversity (CBD), which begins on 17 November in Sharm El-Sheikh, Egypt. That’s because such a decision must be agreed by consensus, and biotechnology-friendly countries are unlikely to agree to such restrictions. Even so, some scientists worry that the discussions could set the tone for future limits on the use of the technology. In an open letter on 14 November, a group of more than 100 scientists — including many studying gene drives — urged governments to reject the moratorium, echoing a statement issued by Britain’s Royal Society last week. “An open-ended moratorium on gene drives, without defining what is meant by ‘gene drive’ — that’s awfully crude and completely wrong-headed,” says Austin Burt, an evolutionary geneticist at Imperial College London who plans to attend the CBD meeting. He leads an international project called Target Malaria, which hopes to use the technology to control the spread of malaria by mosquitoes in sub-Saharan Africa. “It would stifle research”, he adds, because funders might pull back support. However, Jim Thomas, co-executive director of the ETC Group, a pressure organization in Ottawa, supports a moratorium on the technology while the CBD considers issues such as how to assess the risk of a release. “It takes the wind out of the hype that this is somehow a ready solution around the corner. It’s not,” Thomas says. Gene drives are genetic elements that ensure their inheritance to offspring, allowing even harmful gene variants to spread rapidly through a population. They occur naturally in flies, mice and other organisms. But the advent of gene-editing tools such as CRISPR–Cas9 in the past few years has helped scientists to develop ‘engineered gene drives’ that could be applied to any sexually reproducing organism. Organisms containing CRISPR-engineered gene drives have not yet been released into the wild, but their development has stoked fears that even well-meaning applications of the technology, such as attempts to eliminate organisms that spread disease, could lead to unintended consequences and irreversibly alter ecosystems. Burt’s team — which has received tens of millions of pounds in funding from the Bill & Melinda Gates Foundation — is working on gene drives in malaria-transmitting Anopheles mosquitoes, with the aim of reducing populations to stop disease spread. Researchers hope to target other pests with gene drives; for instance, one international collaboration wants to use them to control invasive rodents in island ecosystems. Individual nations can regulate the release of gene drives. But the CBD, an international treaty established in 1992 and signed by 168 countries — with the notable exception of the United States — lays out principles for conservation and the sustainable use of biodiversity and influences national laws. It already places limits on the release of living genetically modified (GM) organisms such as GM crops under the 2000 Cartagena Protocol for Biosafety. In 2014 the CBD convened an expert panel of scientists and environmental advocates, with the goal of determining whether synthetic biology poses new challenges to the treaty. Over the past few years, gene drives have risen to the top of the group’s list of issues to tackle, notes Thomas, who sits on the panel. It’s not the first time the CBD has considered a ban on gene drives. At a meeting two years ago, multiple groups, including the ETC Group, unsuccessfully pushed for a moratorium on the technology. At this month’s meeting, government negotiators will again consider inserting controversial language into the treaty that calls on signatories to “refrain from the release, including experimental release, of organisms containing engineered gene drives”. Although he supports a gene-drive moratorium, Thomas expects it to face steep opposition from some countries. The governments of Canada, Australia, New Zealand and Japan have all historically lobbied against limits on biotechnologies, he notes. Any addition to the treaty, including language calling for governments to refrain from gene drive releases, must be achieved by consensus. “I think a moratorium is a hard one to get,” says Delphine Thizy, Target Malaria’s director of stakeholder engagement who will also attend the meeting. Even if a gene drive moratorium is not approved, whatever language is used is likely to frame how gene drives are tackled by CBD in the future. 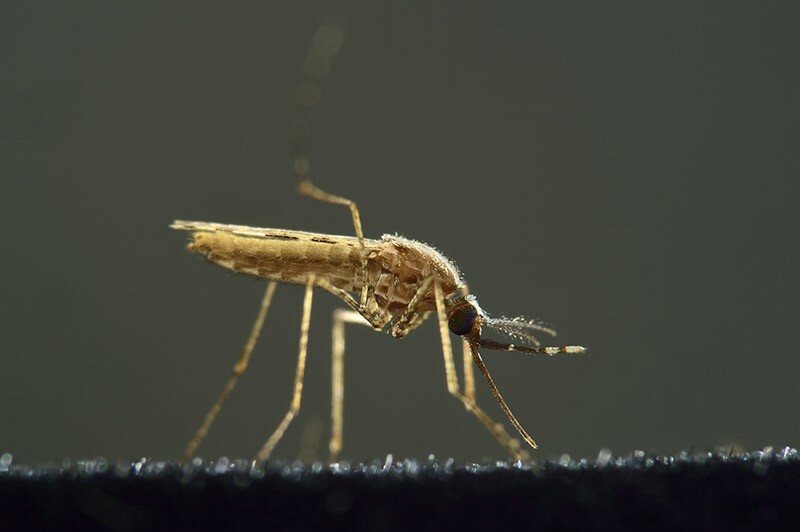 A policy document prepared by the Outreach Network for Gene Drive Research, the group that organized the scientists’ letter and includes Target Malaria, says countries will need to decide whether to take into account positive impacts of gene drives as well as how to assess the environmental risk of any releases. Target Malaria has said that it hopes to conduct field trials as early as 2024. One probable outcome of the meeting is an outline for future work on policy issues raised by organisms carrying gene drives, says Todd Kuiken, a biotechnology-policy specialist at North Carolina State University in Raleigh, who is also on the CBD’s synthetic-biology expert panel. He says that key issues include determining whether existing guidelines for assessing the risk of conventional GM organisms are suitable for those carrying gene drives, and working out how to ensure that local communities potentially affected by a gene drive are consulted appropriately before any release. Because it is an existing treaty signed by most countries, the CBD is likely to remain the main forum for global discussion on the topic. But Natalie Kofler, founder of a coalition called Editing Nature formed to discuss the use of gene editing in the environment, questions whether the CBD is up to the challenge. In a 2 November essay in Science1, she and her colleagues called for the establishment of a coordinating body charged with ensuring that any gene-drive releases are done safely and with informed consent from all parties. Kofler, N. et al. Science 362, 527–529 (2018).